Move over cauliflower – beyond pumpkin pie. 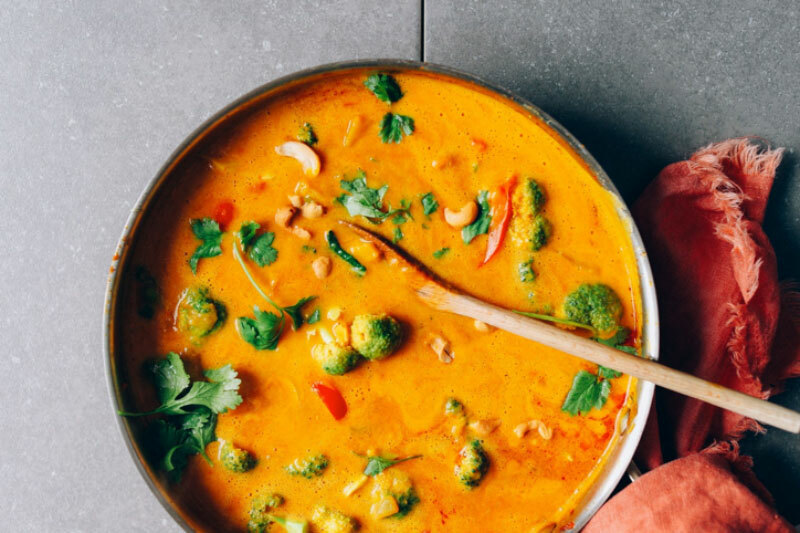 Healthy pumpkin recipes are predicted to be a food trend 2019. Assuming that you already have a favorite pumpkin pie and either a recipe or a source for it – here are some other ways to get healthy pumpkin into your diet. Why pumpkin? I am not a nutritionist, but the experts say that a cup of pumpkin contains less than 50 calories. In each bite, you get vitamins A and C for your immune system. There is vitamin E, iron and folate for immunity, and antioxidants including alpha-carotene, beta-carotene, beta cryptoxanthin for protection from free radicals. You also get lutein and zeaxanthin to protect eyes and vision, and they may give some protection from atherosclerosis. 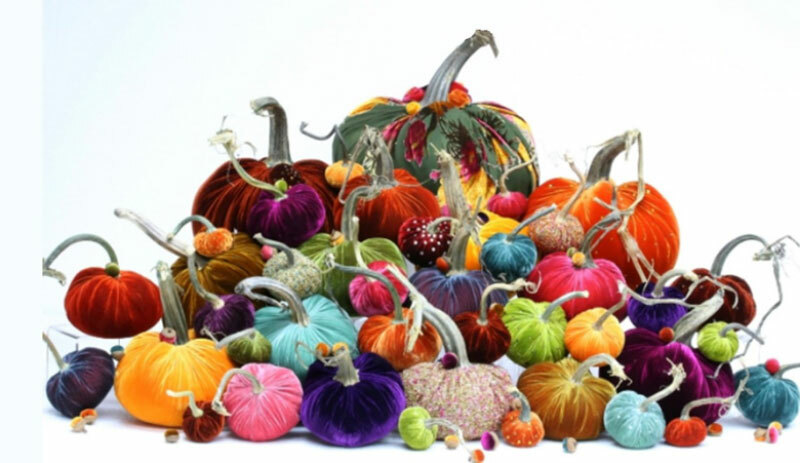 More than a billion pumpkins are grown in the US each year. To choose a fresh pumpkin for cooking – look for small, heavy ‘sugar’ pumpkins of about 5-7 pounds. The familiar, large, jack-o-lantern pumpkins have less flavor, less ‘meat’ in their walls and they are stringy. The sugar pumpkins are ‘in season’ from September to November but since they store well, they are available in grocery stores throughout the winter. Fresh pumpkins can be stored in a cool place at home for up to a month. To soften up a pumpkin, put it into a microwave and cook on ‘high’ for two minutes. Cut the top off the pumpkin or cut it in half. Scoop out the seeds and the strings like you do for a jack-o-lantern. Peel the skin away from the pumpkin flesh and cut it into cubes. You are ready to cook right away or freeze it in loosely packed freezer bags. 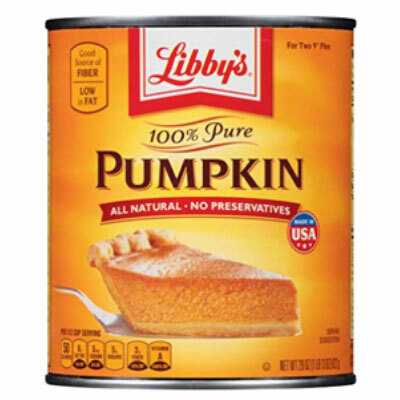 I like a good short-cut and Cook’s Illustrated gives a favorable rating the Libby’s 100% Pure Canned Pumpkin, 29 oz. for $3.16. You may also find Libby’s Organic 100% Pure Canned Pumpkin in your grocery store. Pumpkin adds to either sweet desserts like pumpkin pie or savory dishes. 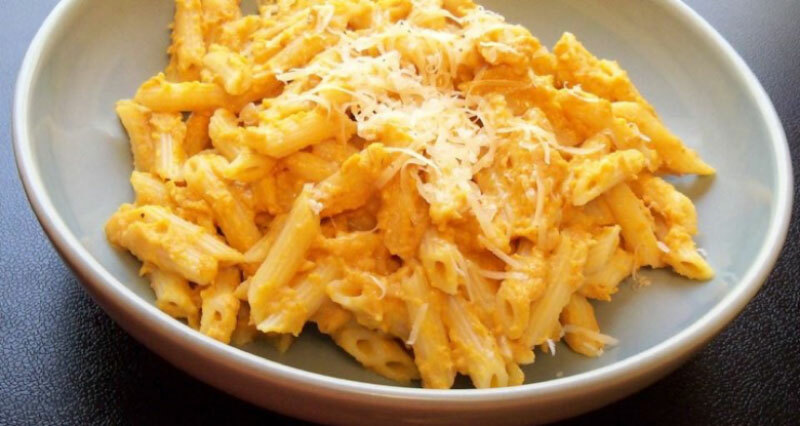 Here are some savory recipes using fresh or canned pumpkin. 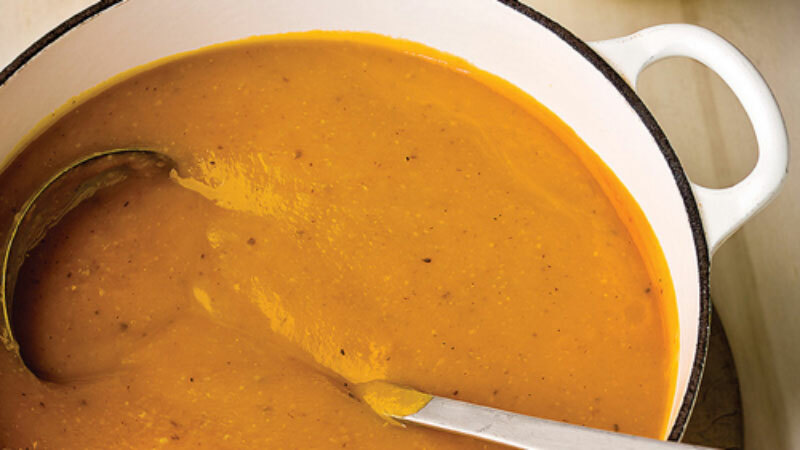 Martha Stewart has a good recipe for roasted pumpkin soup. Heat the pumpkin puree, chicken broth, milk, margarine, onion powder, black pepper, salt, cloves, nutmeg, cinnamon, and ginger in a large skillet over low heat until heated through, about 5 minutes. Stir in the drained pasta and toss with the Parmesan cheese. At this time, also taste and adjust the flavor of the sauce/broth as needed. I added more maple syrup for sweetness, sea salt for saltiness, and a bit more curry paste for a more intense curry flavor. Don’t be shy with seasonings – this curry should be very flavorful. Notes: For protein, if you aren’t into cashews or can’t do nuts, you could also add Quick Crispy Tofu, Red Lentils, or simply serve over quinoa. 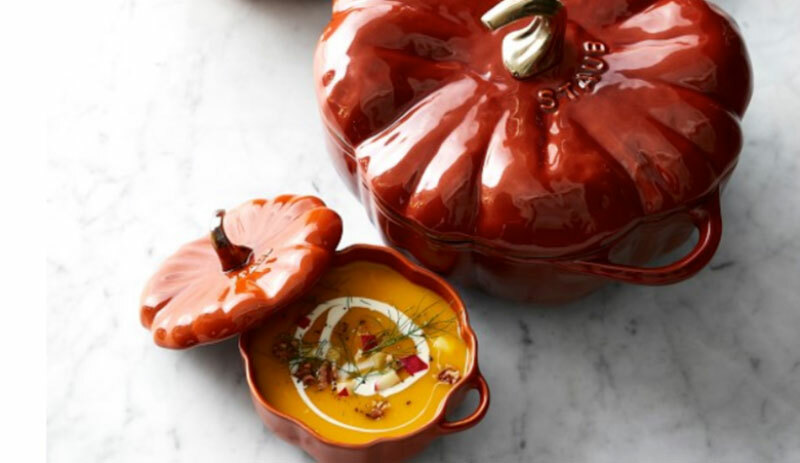 These Staub Ceramic Stoneware Pumpkin Cocotte’s are great oven to table serving pieces, especially for pumpkin dishes. They come in the three sizes. ¾ Quart on sale for $29.95. 3.5 Quart available in four colors. On sale for $179.95. 5 Quart on sale for $299.95. Like to decorate with pumpkins? See ASE article.